The Scribble Pad: We're back! 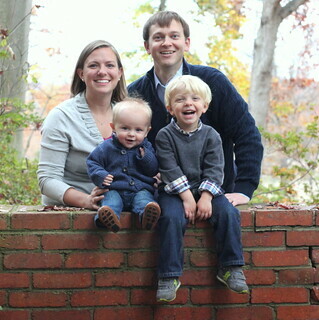 be prepared for an onslaught of disgustingly adorable family photos. YAY I'M SO EXCITED I COULD PIDDLE MYSELF! Wait...what? Welcome back! Wait...no, I mean COME BACK! That picture is adorable. I can't wait to see all 12+ Gigabytes all over this blog. I'm officially caught up on all your pics. Wow, you got a ton of seriously beautiful photos. I love the one of Behr looking out the window. And looking at what looks to be a huge case of wine!